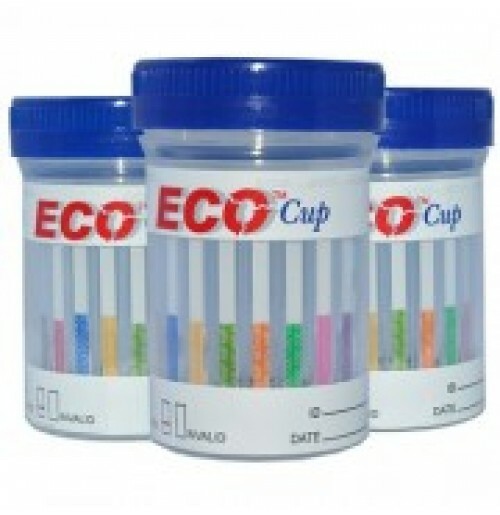 The ECO Cup is a fully integrated, compact one-step urine drugs of abuse screening test for the reliable detection of multiple drug metabolites in human urine with the cut-off levels in accordance to SAMHSA regulations. Tests up to 12 drugs at one testing procedure, just peel protective label. FDA 510k Cleared and legal for any drug screening needs.